Hoppy and Lucky confront a gang of outlaws which has been ravaging stagecoaches and gold mines. The final gunfight is at Ed Colby’s mine. This page did have A Big Hand for a Little Lady – Henry Fonda Western movie so some of the comments might be about that western. A man with a gambling problem gets in the biggest game in the territory. His wife finds out but its too late all is at risk of being lost . But all is not as it seems! Henry Fonda. This page used to have Day of the Outlaw starring Robert Ryan, Burl Ives so some of the comments may be about that western movie. This page also used to have Cattle Empire starring Joel McCrea. Again, no sound but this time when I selected a specific movie it gave me a totally different one. It did this twice withe the same movie. Why can’t we turn off captions on this movie. Great Lady,Paul Newman was lucky man.. I never seen this movie before. It is so great to find a priceless gem of a movie that this one is. I really enjoyed myself watching it, THANK YOU. Great movie, still discovering wonderful movies here on WOW. Should have made comments on each one I’ve seen so I can keep track of what I watched. Don’t pass this one up. Joel McCrea is starting to be another favorite actor of mine. Why does video say “private” when I try to play? Finding great westerns that I’ve never seen is a great thrill, thanks for providing another gem. a good example of the western as a fine art form w/some of the moral ambiguity and the possability of persoal redemption that all fine story telling affords.Bural Ivans was an Americian Icon.Unforchuntly,the western has not fared well,for the most part,for some years,but the life and vitality is potentially there.this story is somewhat remensent of the henry fonda vecheal welcome to hard times but w/a softer edge to it. 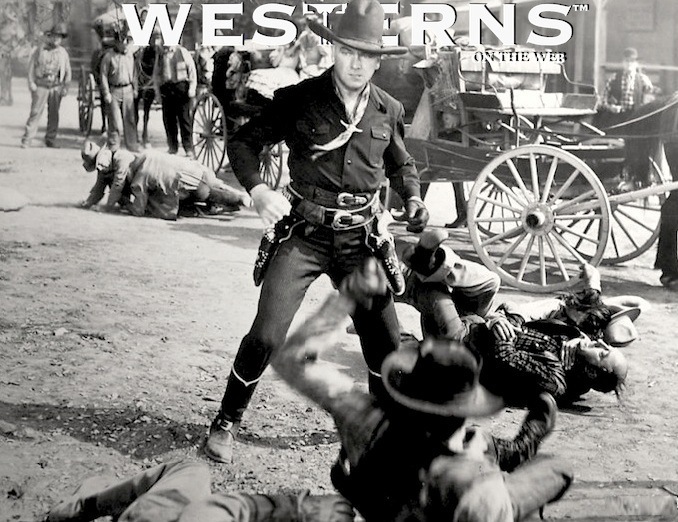 One of my favorite Westerns star’s Joel McCrea, it’d be nice if you could upload his- Wichita, Wells Fargo, Outriders, South of St.Louis, Oklahoman & Tall Stranger. Thanks so much on your effort to let us to see many fine Westerns.